The durable polycarbonate Rock Solid Tripod Mount for GoPro® attaches a GoPro waterproof or skeleton housing to any standard tripod, EasyGrip, PowrGrip, Articulating Arm, Camera Platform or Camera Strap. 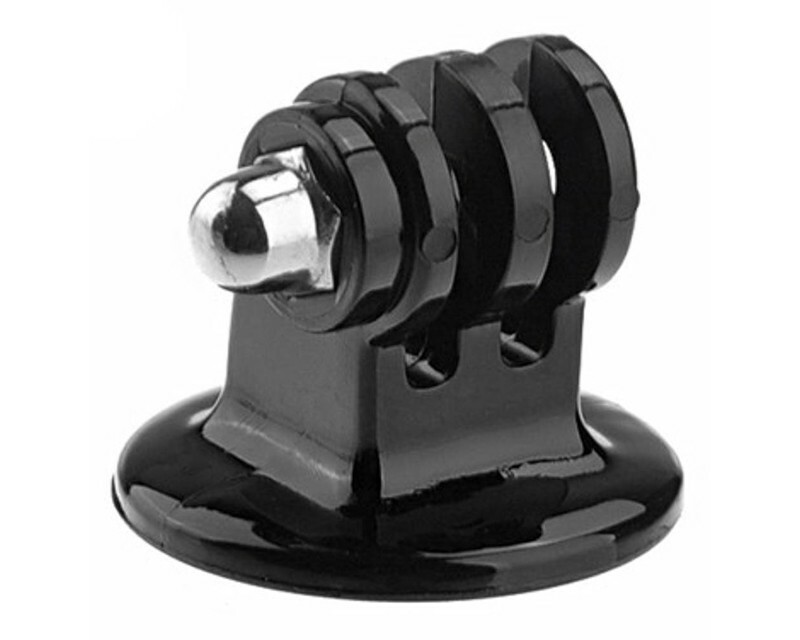 The Rock Solid Tripod Mount for GoPro® is compatible with GoPro Hero Cameras*. The durable polycarbonate mount attaches a GoPro waterproof or skeleton housing to any standard tripod, EasyGrip, PowrGrip, Articulating Arm, Camera Platform or Camera Strap. You can also quickly mount a GoPro on a DSLR with a Hot Shoe adapter for added HD footage of a shoot.